Struggling to brush a toddler’s teeth, parents often think: “It doesn’t matter! They’re just baby teeth. They’re going to fall out anyway!” Well, it does matter—those little “baby teeth” don’t fall out until somewhere between 6 years of age for front teeth to 11 years for molars. 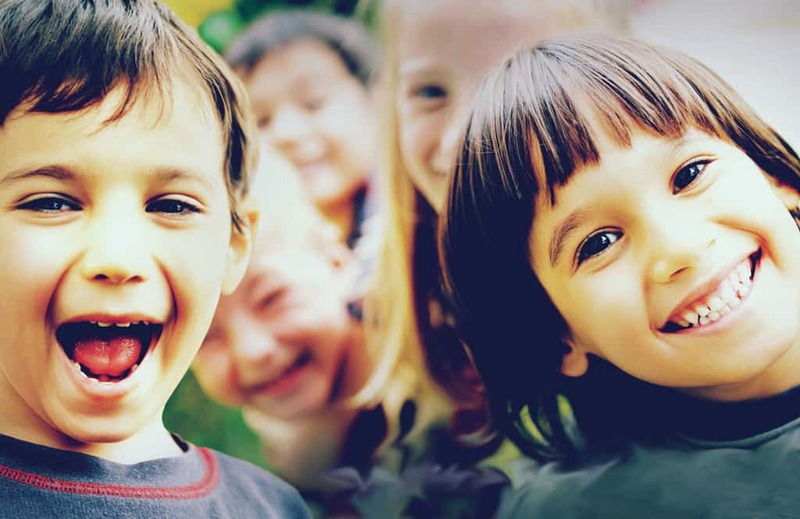 Tooth decay is on the rise for kids of all ages, but parents can keep their child cavity-free with these simple tips for preventing cavities in children. Possible culprits for this increase in cavities in children include the extended use of sippy cups and bottles as infants, and the continued consumption of sugary drinks. Reducing cavities in baby teeth supports healthy formation of adult teeth, minimizes the cost and discomfort of corrective dental procedures, and most importantly, helps children establish life-long oral health habits. So let’s get brushing! 1. Limit sugar in foods and drinks. Everyone knows sugar rots your teeth. But did you know natural juice is a major contributor to tooth decay? According to a Harvard School of Public Health study, a 12-ounce serving of orange juice has 10 teaspoons of sugar, similar to soda. Cranberry juice is the one of most sugary juices, with almost 12 teaspoons of sugar in a 12-ounce serving! Instead of dried fruit, like raisins which keep concentrated sugar stuck on teeth, give kids fresh fruit and vegetables. Raw fruit and vegetables with a crunch like apples, carrots, and cucumbers help clean teeth. Cheese is an especially great snack that not only is low in sugar, but actually helps protect teeth by neutralizing enamel-destroying acids. Drinking lots of water also helps wash away acids from the teeth, plus tap water is fluoridated, which helps fight tooth decay. 2. Brush your child’s teeth for them. A common mistake is to let kids brush their own teeth. But until age 7, self-brushing is hit and miss. Those hard to reach areas will become prime targets for cavity formation. Parents should brush for their child, and help them establish good oral health habits. 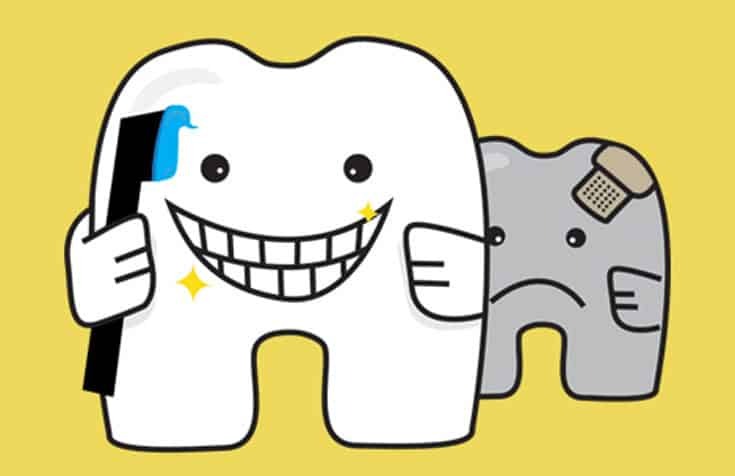 Teach your child the proper technique for brushing, how to spit and rinse, and instill a twice-daily routine for brushing. Areas in between teeth, where brushes can’t reach, are a prime area for tooth decay. Help your child floss and remember if they see YOU flossing, they are more likely to learn the value of flossing themselves. If regular floss is too cumbersome, try disposable flossers, which may be easier to maneuver and are available in kid-friendly bright colors. If someone has cavities, they also have cavity-causing bacteria in their mouths. Make sure family members do not share eating utensils or pacifiers, as they can pass bacteria between individuals via salvia. 5. Eliminate night time snacks, bottles, and sippy cups. Water should be the only option at night. Make sure the last thing children do before bed is brush their teeth. Children who fall asleep with a bottle or sippy cup is a prime cause of early tooth decay. Transition them to water-only if they must use a night time bottle. 5. Establish a family dentist. Having a long-term relationship with an oral health provider helps your child feel more comfortable about visiting the dentist. The American Academy of Pediatric Dentistry recommends finding a dentist by age 1, or roughly 6 months after your child develops her first tooth.